Since we all live under the current terms of each of our respective nation’s copyright laws, simply making something available or accessible over the Internet doesn’t make it free under copyright for others to use and improve upon. That’s why open content licenses exist: to abrogate the restrictions imposed by copyright law. We rely upon these open content licenses here at the Open Siddur Project. Open content licenses are a means by which creative people can share their work with others: to adopt, adapt, and redistribute their work, even commercially, while retaining their copyright and requiring correct attribution. Each of these licenses is tailored to sharing particular media (software code, hardware specs, fonts, writing/music/art) according to a variety of intentions (e.g., remixability with works under other licenses, requirements for derivative works, etc.). This decision tree is an attempt to help creative people choose the open content or open source license suitable to them. “SHARE WHAT YOU LOVE ♡ A Decision Tree for Choosing Free-Culture Compatible Open Content Licenses for Sharing Cultural & Technological Work” is shared with a Creative Commons Attribution-ShareAlike 4.0 International license. Vector art for this graphic is available as a “clickable” SVG file. 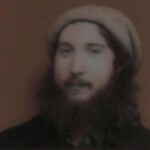 This post was originally published on Aharon Varady’s my tumblr blog. 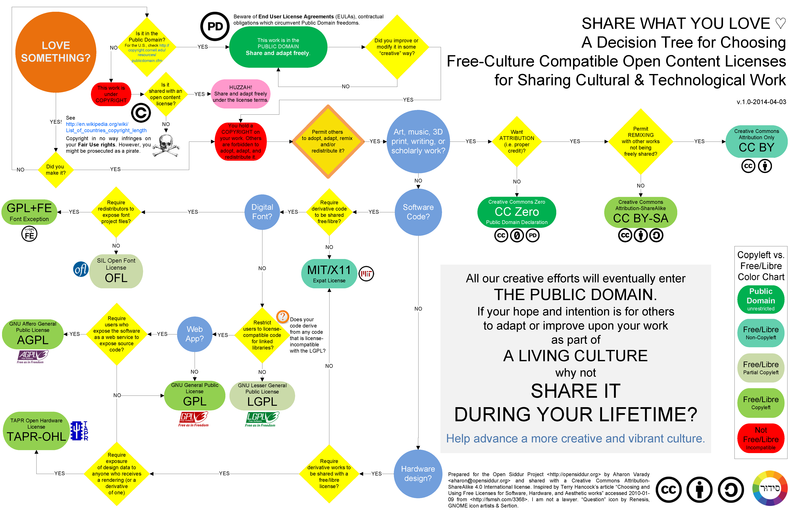 “SHARE WHAT YOU LOVE ♡ A Decision Tree for Choosing Free-Culture Compatible Open Content Licenses for Cultural & Technological Work” is shared by Aharon N. Varady with a Creative Commons Attribution-ShareAlike 4.0 International copyleft license.